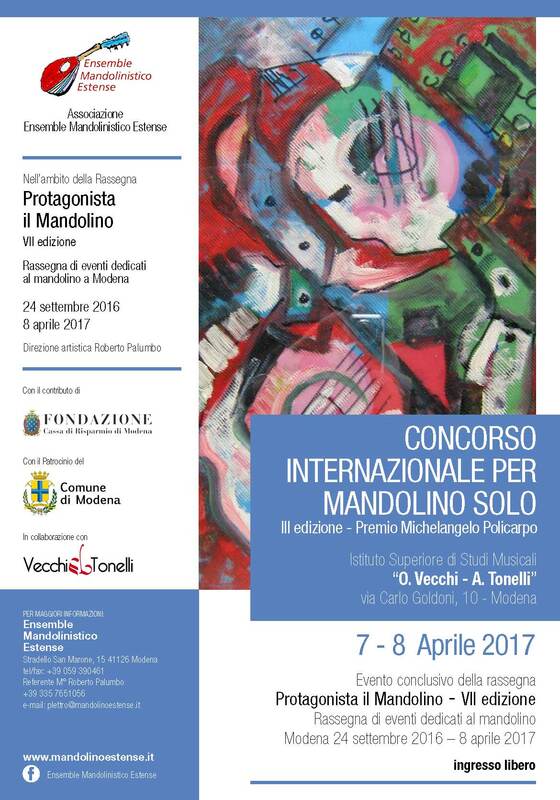 The Ensemble Mandolinistico Estense Association organizes the 4th edition of the International Competition of solo Mandolin, entitled to Michelangelo Policarpo. 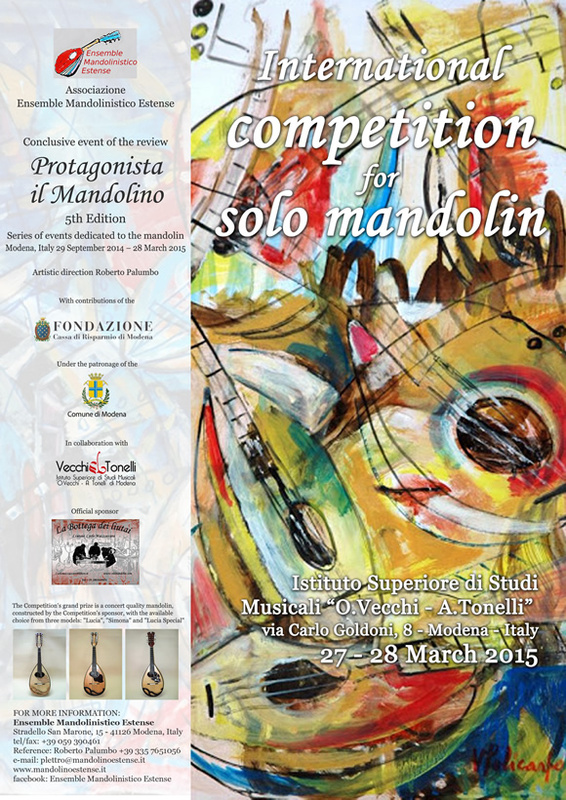 The competition is open to participants of all nationalities, in the context of the Review Protagonista il Mandolino. The Competition's awards are three prizes of 1000, 600 and 400 Euros. 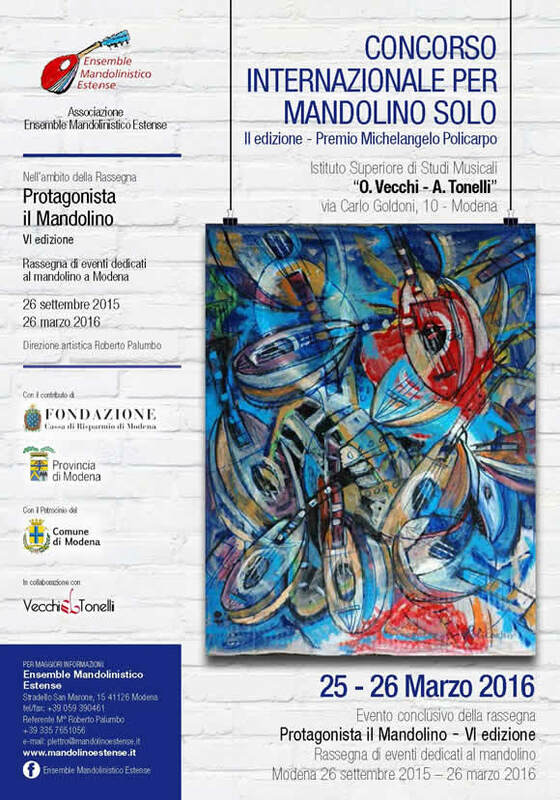 The Competition will be held in the Istituto Superiore di Studi Musicali “O. Vecchi-A. Tonelli” in Modena, Italy from 12. to 13. April 2019.